Experience the great outdoors under the full moon! 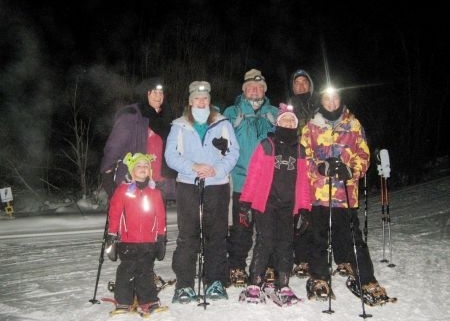 Let our experienced guides lead you on a wild adventure, with guidance from the moon, while they share stories of our historical and natural environment. All ages are welcome! Cost is $60 and includes snowshoes. 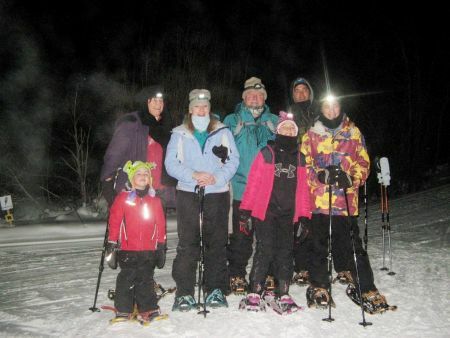 Children are $45 includes snowshoes (one child per paying adult). Post tour, we return to the Clubhouse for socializing and a light meal.